The Rotameter Flow Meter F VA Minix aluminium variable area flow meters with glass flow tube are used to measure the volume of transparent liquids and gases passing through closed piping. The built-in needle valve permits manual control of flow rates. Standard scales are available for liquids with a density of 1 kg/l and for air. The scales must be recalculated for all other media depending on the physical characteristics. 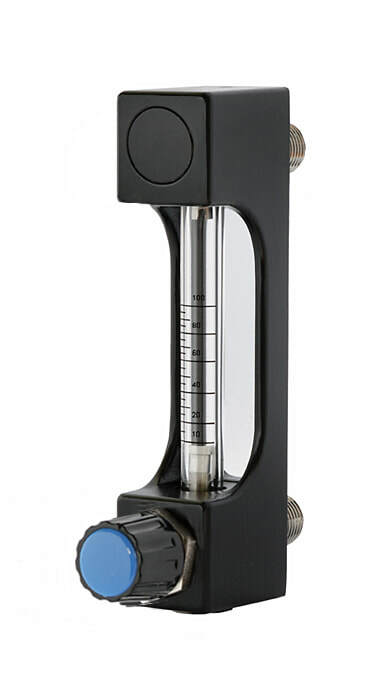 Aluminium variable area flow meters with glass flow tube are used to measure the volume of transparent liquids and gases passing through closed piping.